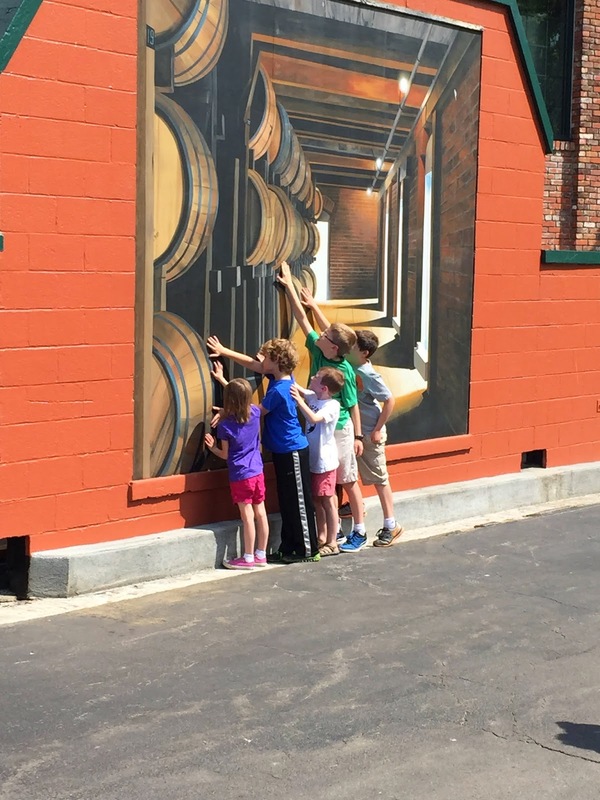 In the first tour of its kind, over Mother’s Day weekend Buffalo Trace taught kids the basic history and science behind Kentucky Bourbon, while barely mentioning – let alone promoting or glamorizing – alcohol. 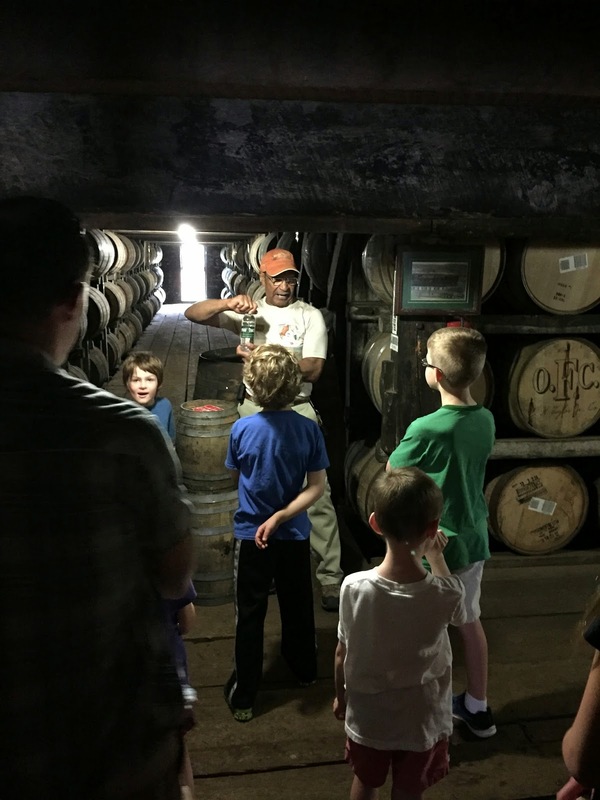 That’s a tough task for a distillery, and some people will undoubtedly be judgmental about gearing a distillery tour specifically for children, but Buffalo Trace handled it perfectly by showing just how much there is to learn about things other than Bourbon. To be clear, though, families with children have already been welcome at Buffalo Trace, and all tours are open to visitors of all ages, except the Hard Hat Tour (which requires a minimum age of 12). The Mother’s Day weekend tour was innovative because instead of kids being along for the ride, here the parents were along for the ride, and the tour focused on details that would be appealing to the 12-and-under crowd. The kids were guided by the incomparable Freddie Johnson. Freddie’s father, Jimmy, worked for 47 years at the distillery (long before it was known as Buffalo Trace), and Freddie’s grandfather, James B. Johnson, Sr., worked at the distillery for 52 years between 1912 and 1964. Both worked their way up to Warehouse Supervisor, with James becoming the first African American to hold that position. Jimmy and Freddie were interviewed for the University of Kentucky’s Louie B. Nunn Center for Oral History Bourbon project (link here), and they have some fascinating stories. Freddie started the tour by describing how buffalo carved the four main roads around Frankfort and leading to the Kentucky River, with inquisitive kids wanting to talk about the difference between bison and buffalo, and how huge these beasts were. Freddie gave just a bit of history about the property and family farmer distilling in Kentucky, but sensing that the kids would be bored with numbers, he didn’t spend long on it. We moved outside for a “hands-on” viewing of the optical illusion painting of a warehouse row, which entertained the kids, and then we walked to Warehouse C.
Freddie explained along the way – and it turned into a theme – that early distillers had to be farmers, scientists, architects, and engineers. While in Warehouse C, the kids could feel the coolness of the ground floor. Freddie coaxed out of them that upper levels and attics in houses were warmer, and he explained that this happens in warehouses too. Just like hot conditions create pressure in a water bottle, Freddie explained temperature and pressure inside aging barrels, with the added dimension of the liquid’s interaction with the wood (interestingly, Freddie only used the words “Bourbon,” “whiskey” or “alcohol” a time or two). The kids got a chemistry lesson without even realizing it. Chemistry gave way to architectural engineering outside of Warehouse C where Freddie pointed out the 2006 tornado damage. The tornado pulled up massive Sycamore trees and tossed them like toothpicks, and those trees kicked the tornado up off the ground where it peeled the roof off of Warehouse C and ripped off some brick. 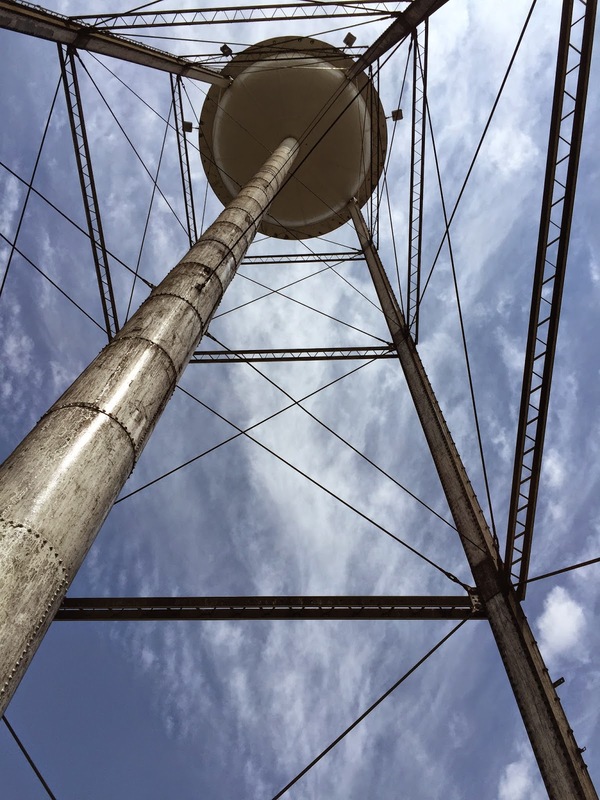 Remarkably, the tornado didn’t harm the rick structure or a single barrel of Bourbon, or the massive water tower which had been built to withstand everything that Kentucky weather can throw at it. Getting back into chemistry, Freddie explained that the barrels at the top of Warehouse C were exposed to the most adverse weather conditions you could imagine during the storm, then they were baked in direct sun over the summer, and cooled with Kentucky wind and rain while the walls and roof were repaired, resulting in a surprisingly exceptional product. He explained that this inspired Buffalo Trace to build Warehouse X, an experimental warehouse to test all kinds of aging conditions. The slogan “Honor Tradition, Embrace Change” might have been lost on the kids, but they appreciated the experimentation that goes into the scientific method. Then we moved to barrel design and experienced the ease of flipping and rolling a heavy barrel. Barrel construction seemed to interest the kids – especially how a barrel without glue, grooves or nails could keep liquid inside – and how different trees or different sections of the same tree have different flavor characteristics. Freddie sensed that the kids had absorbed all they could, so he led us to a tasting room to try Dr. McGillicuddy’s root beer, which was the perfect high note to end the tour. Hopefully some aspect of chemistry or engineering will resonate with the young visitors, and I suspect that chances are good because of Freddie’s enthusiasm and because he never talked down to his audience. We could have done without the historical lesson of 2,000 family farmer distillers or prescription use during Prohibition, but otherwise the tour hit the kids’ interests. Finding a way to let the kids touch and smell the grain would have added a nice tactile and sensory dimension to the day. Unfortunately, Buffalo Trace doesn’t have an ideal setup to show kids grain receiving or the mill room, which along with the mash house, fermenters, still house, and other operations are on the “Hard Hat” industrial side of the distillery property. For good reason, that side is unlikely to be part of a kid-focused tour. But a simple table with canisters of corn, rye, barley and wheat could have helped satisfy the need to touch and use other senses, and add to a memorable experience. I hope to hear that Buffalo Trace will continue this experiment. 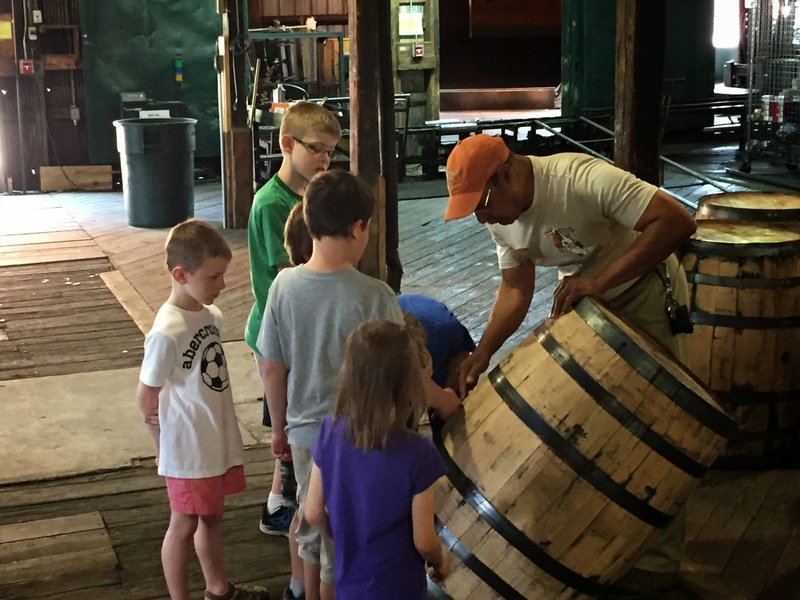 If any readers are interested, I encourage you to call Buffalo Trace (800-654-8471) to request the kid-focused tour, and that might help make this a permanent feature. This is fantastic! My girls hate the smell of my bourbon but would be interested in the science of distilling. The kids all really enjoyed it. Distillation itself wasn't really covered (maybe because we didn't go to that area of the distillery), but the tour really proved that there are so many things to explore and learn. Thanks for commenting! The tour was fantastic! My kids really enjoyed it and found it to be very interesting. Freddie was great with the kids! I hope Buffalo Trace will continue offering this tour. It may have been for the kids, but my husband and I learned many things as well. That's a great point too — the adults were learning at the same time. I hope that Buffalo Traces makes this a regular offering. Thanks! Freddie! -Hi – I hope all is well with you. My two older brothers and me toured Buffalo Trace last week with you. We had to skip out for the Hard Hat. But most importantly, I’m calculating that your Dad lived to an impressive 97. My Dad turns 95 on March 24, 2016. I watched your Dad and Son interview (2008) and am so very impressed with the stories, history, and, of course, your knowledge about the industry. Thank you! Freddie, you are one of those very fine people that is knitting this country together (do not let the set backs discourage you)! Always your promoter and friend – Robert M. King, Charleston, SC (now in Charlotte NC). I'll be sure to pass this along to Freddie! He'll love reading it.